HCL - A1133D - for iPad Air; IPad Air 2 - blue - Shockproof Carry Case - with handle / stand"
Tablet PCs are, of course, not only suitable for work, but also come very well with children. With the Kidscover A11330-T you get the perfect protection for the Samsung Galaxy Tab A, so that your child has a long time to enjoy the device and make it as resistant as possible. Tablet PCs are, of course, not only suitable for work, but also come very well with children. With the Kidscover A11330-T you get the perfect protection for the Samsung Galaxy Tab A, so that your child has a long time to enjoy the device and make it as resistant as possible. Visually, however, the cover is equally noticeable. The Kidscover A11330-T has a carrying handle, which can be folded easily and thus becomes the pedestal. So the Samsung Galaxy Tab A can be easily set up, for example, to watch a video without having to hold the tablet in the hand. The manufacturer has also opted for a bright green color. If you want to use the shock-resistant case, you should note that the Kidscover A11330-T is exclusively compatible with the Samsung Galaxy Tab A with 24.63 cm (9.7 inch) screen diagonal. 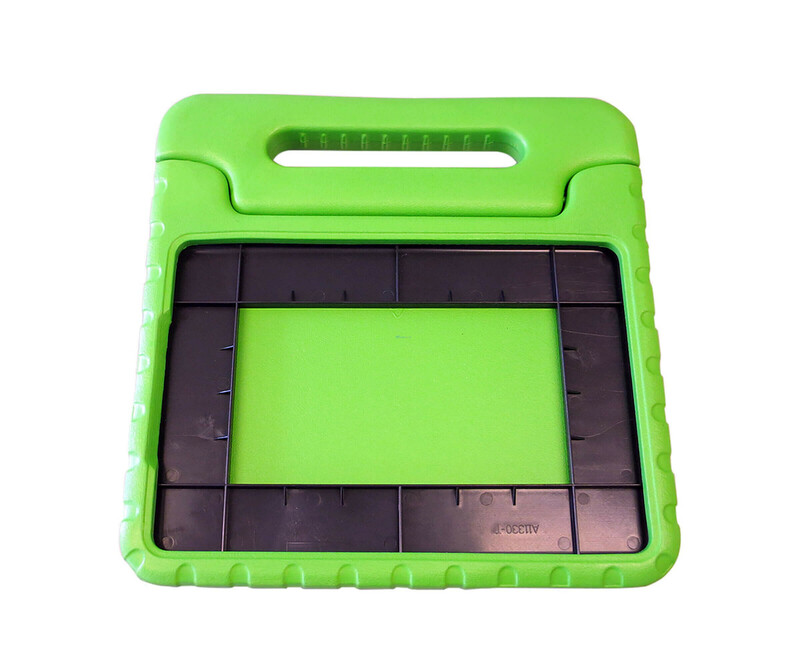 The control elements are fitted with pass-through recesses, which is why the case can not be used with other tablet PCs.